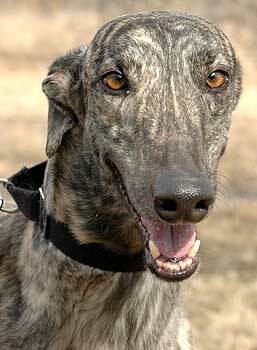 Achilles, aka Jake's Achilles, is a big, handsome 4-year-old lemon brindle, born December 19, 2002. 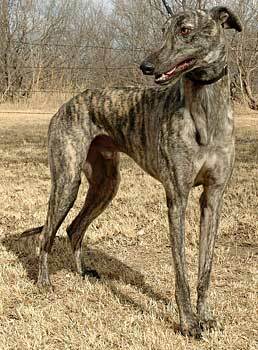 Achilles was sired by the famous Gable Dodge, making him a half sibling to Gail, and his dam is River Impala, making him a half sibling to Impala. 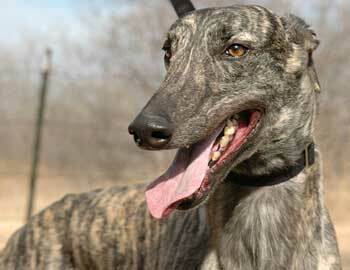 Achilles was a Grade A racer at the Birmingham track, competing in 52 races before he retired in October of 2005. It is not known at this time if Achilles is small animal or cat tolerant.